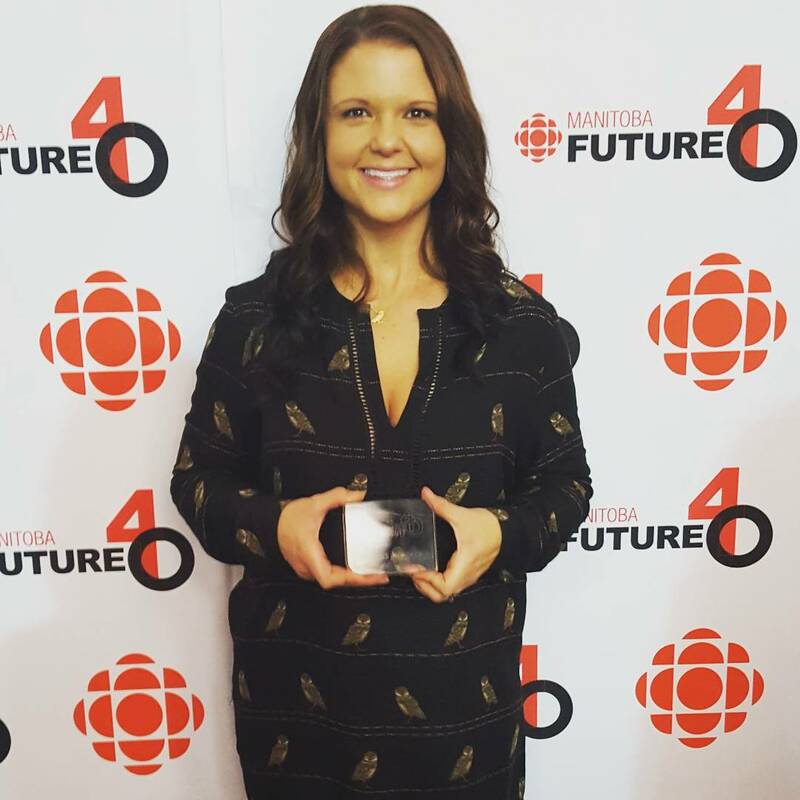 The Faculty of Graduate Studies would like to congratulate UWinnipeg alumna Alexandra Froese for her selection as CBC Manitoba Future 40! We took the time to connect with Alexandra to hear about this achievement. Can you tell us a bit about your academic background here at The University of Winnipeg? I completed both my undergraduate and master's degrees at the University of Winnipeg. I completed my Environmental Studies undergraduate degree in 2006 and completed my Master's degree in Bioscience, Technology and Policy in 2016. My master's studies focused on the breeding ecology of wild and captive-released Western Burrowing Owls in southwestern Manitoba. I defended my thesis in 2016 however my last field research season was in the summer of 2012. A bit of a gap? Yes. Why? Well I built my thesis project into an on-going, provincial recovery program for the Burrowing Owl. This was no small task and involves a vision, dedicated staff, project partners and funders. Did you know that you were being nominated for CBC Manitoba’s Future 40? My friend and colleague, Charlene, from the Assiniboine Park Zoo asked if she could nominate me. I was very flattered and it might sound cliche but it's truly an honour to first have Charlene consider recognizing me and my work on such a platform and secondly to have been selected as a Future 40 for 2017. It's humbling, motivating, exciting and I'm very proud to have been selected as a Future 40 finalist in 2017. I'm equally as excited that the Manitoba Burrowing Owl Recovery Program (MBORP) is being highlighted on this platform as well. The program solely runs on public and private funds and we enlist the help of several volunteers every spring and summer (April through September) to help with reintroduction and habitat improvement activities. My hope is that this distinction will encourage people to get involved with our program in some capacity or participate with another non-profit conservation organization doing great things in Manitoba. What was the best part of your graduate program? The best part of the graduate program, for me, was the flexibility of the program. I didn't take the more "traditional" path of a master's thesis study. "Traditional", to me, means working with a professor at the University in their lab or on a topic of their focus that also includes funding. For me, it was important that if I was going to spend the next 2-4 years of my life working on a thesis, I wanted to work on project that I really cared about and my interests were (and still are) focused on Burrowing Owls. The Burrowing Owl is one of the most endangered species in Manitoba and prior to my study, there had been no formal studies on their populations in the province since 1996. With this said, because I did not follow a more "traditional" path, I needed to secure all of my own funding. I applied for several grants (both public and private) to cover all of my research costs. I also connected with organizations like the Assiniboine Park Zoo, Portage Natural History Group and Turtle Mountain Conservation District regarding in-kind support. Once securing all funds, I discussed this opportunity with Dr. Scott Forbes, who then became one my committee members. Scott was happy to provide his expertise as a wildlife biologist and was instrumental in helping me complete my thesis and defend it successfully. Also, Dr. Richard Westwood, who was the chair of my graduate program at the time, was always willing to help and on several occasions and went the extra mile to navigate me through the challenges of graduate student life when I needed help. I also received tremendous support from my supervisor, Dr. Jim Duncan. 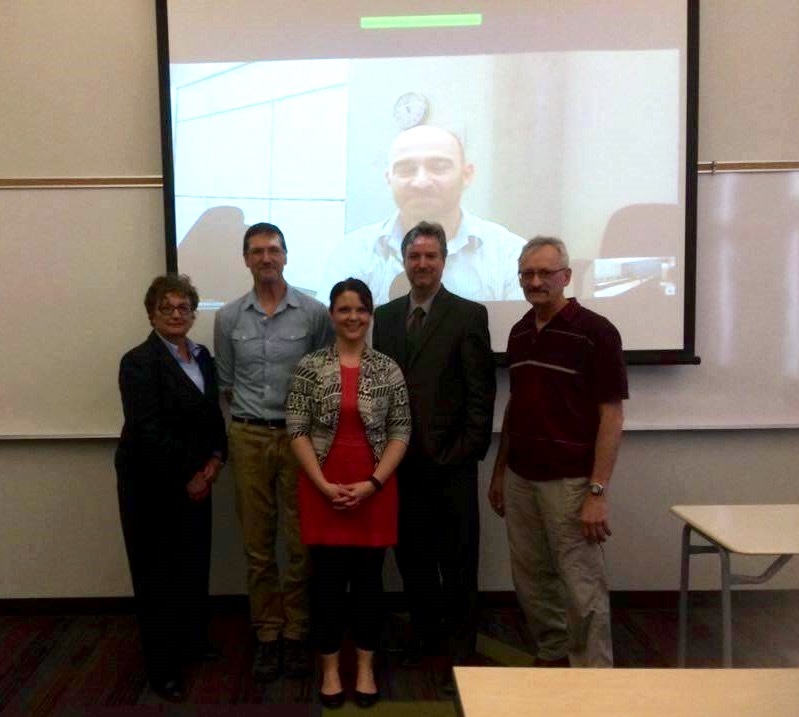 Jim applied and received adjunct professor status at the University of Winnipeg specifically to supervise my study. Without the flexibility of the University of Winnipeg graduate studies program, I may not have been able to focus my research on the Burrowing Owl and the recovery program, as it is today, wouldn't have been established. Any advice for current or future graduate students? The best advice I can give to future graduate students would be to follow your own path and surround yourself with people that will build you up. Be innovative and create something. Why not? There are great people all around and so many of those people, be it professors, professionals, biologist, friends, even strangers (volunteers) etc. will help you if you ask. There is no shame is asking. There will be challenges along away, it's not easy. But from my experience, even with the bumps along the way, I wouldn't change a thing. All of the support I (and the program) have received over the years has been amazing and I think that if you are truly motivated, you can do anything. Manitoba and Canada are full of opportunity so don't waste it. Click here for more alumni features.